Colombian musician, Mario Galeano, the force behind the band Frente Cumbiero, and English producer Will Holland (A.K.A. Quantic), have joined forces to create the Ondatrópica project. This project, which is supported by the British Council, exists to explore and expand the tropical sound of Colombia in its rawest form and to marry it with the cool sound of London. The immediate result is not just a new recording – to be released within the next few months – but a hot band which will have the honour of representing Colombia at the cultural *Olympiads* in *London*.Ondatrópica came about as a result of the success of Frente Cumbiero Meets Mad Professoralbum collaboration, which led to the British Council commissioning Mario Galeano to generate a new collaboration, this time with Will Holland (AKA: Quantic). The project will unfold in three phases. Phase one, focused on the creation and recording of the record, brought together a group of top musicians representing both classic and more modern styles of Colombian music. In this project, which is unique in national music history, artists such as Fruko, Anibal Velásquez, Michi Sarmiento, Alfredito Linares, Pedro Ramayá Beltran, Markitos Mikolta, and Wilson Viveros joined a group of younger Colombian musicians and the UK’s Quantic to (re)generate the excitement that positioned Colombian music as one of the most influential of the continent in past decades. The aim of exploring a musical path with these pioneers and visionaries from the 60s, 70s and 80s, is not about nostalgia, but is a reaffirmation of the validity and contemporariness of the concept. With this in mind, classic standards of production take centre stage, with equipment and techniques typical of analogue sound – for example, vintage microphones and taking advantage of the expertise of key musical figures such as legendary engineer and producer Mario Rincón, responsible for some of the best recordings of the 1970s. The legendary Discos Fuentes studio, in Medellin, with a history spanning over 75 years, and with a pedigree which includes Los Corraleros de Majagual, Joe Arroyo, Andrés Landero and Afrosound, was the studio of choice! 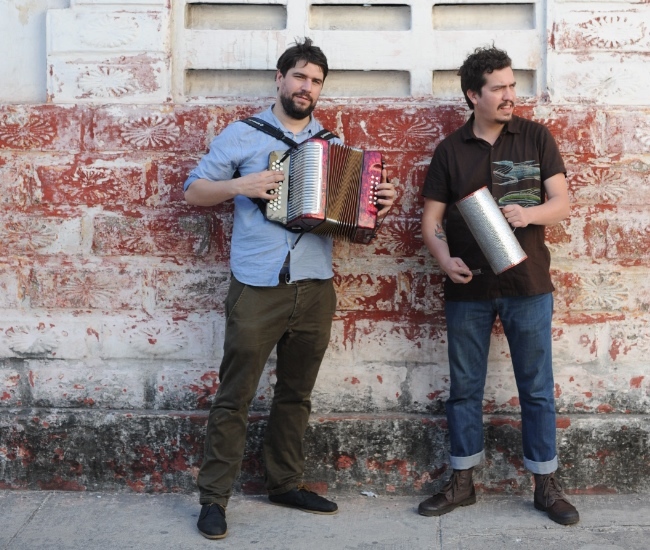 The second phase of the project will focus on creating Los Irreales de Ondatrópica, a group of 10 musicians who will, again, represent the old and the new. From a base in Bogotá, the band are adapting the initial Discos Fuentes repertoire, preparing to take the world stage by storm in July 2012. The last and final phase of Ondatrópica, their presentation in London, will show the world that the most compelling and relevant Colombian music is here to be rediscover.